MD&A was contracted to modify both the left and the right-hand side throttle valves on a Westinghouse® steam turbine. 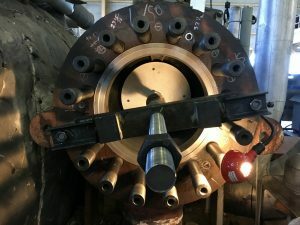 The work was done at the power plant and was designed to reduce distortion on the valve casing, as well as the bonnet fit, and stud threads. 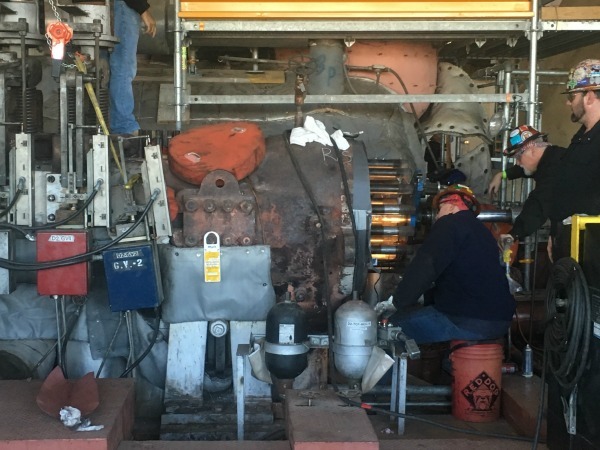 As the on-site work was being performed, highly skilled technicians at our St. Louis Turbine-Generator Repair facility performed the in-shop throttle valve bonnet modifications. MD&A provided management, engineering, labor, materials, and equipment for both the on and off-site projects. As part of the on-site work, each throttle valve received a pinned-in seat and Flexitallic® gasket modification. The old throttle valve seats were removed and new seats installed. 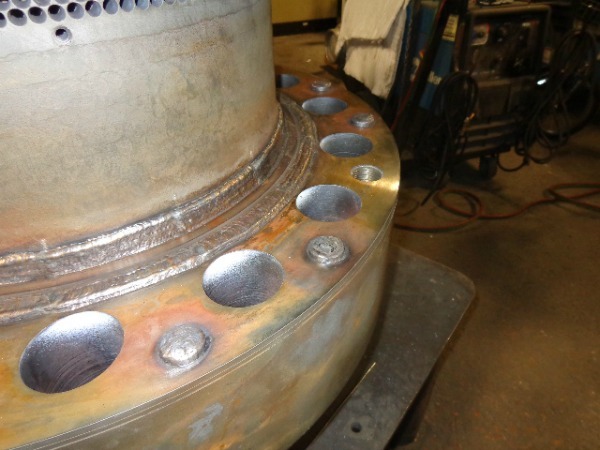 All bore and face surfaces were machined to achieve perpendicular and concentric conditions within the valves. Both the left and right-side throttle valve bonnets were blast cleaned to remove blue blush and allow for proper non-destructive testing. Upon inspection, MD&A technicians found that both the left and right-side bonnet liners had excessive blue blush build-up. While the bonnet bushings were removed, the bonnet liner bores were honed to restore the valve plug to liner clearance. The bonnet casing fits were weld built-up and final machined to restore the proper clearance to the valve body fit IDs. New threaded and bolted bonnet bushings were machined to the proper clearance and installed. The gasket sealing surfaces were machined with a phonographic finish. The casing standoff and gasket surface drop heights were machined to allow for proper crush on the new Flexitallic® gasket. Buttons were welded onto the outer portions of the bonnet flange face to allow for proper stud torque and compression. Lastly, the bonnets were cleaned and prepared for shipment. Then the bonnets, with sub-assemblies installed, were returned to the plant and installed. 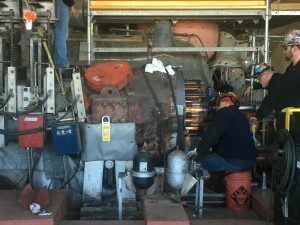 MD&A provides inspection, repair, restoration and upgrades of industrial and utility high-pressure valves and valve components. 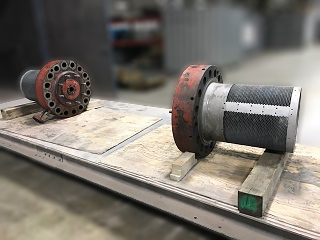 We offer full-service, one-stop valve repair while delivering consistent quality and value with fast response, superior communications, and innovative solutions. Have MD&A look at your valves today, call our Turbine-Generator Repair Facility at (314) 880-3000 or use our Contact form.